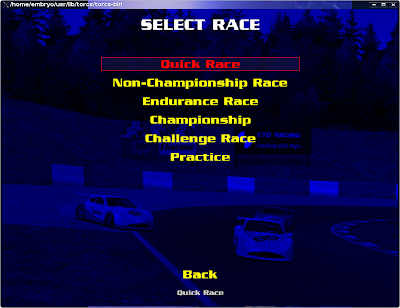 The graphics are a little old, but the racing experience is pretty neat. 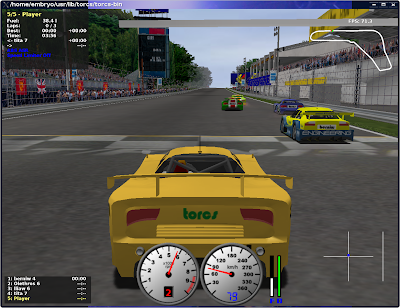 TORCS comes only with single player mode, offering several racing modes, like Quick Race, Non-Championship Race, Endurance Race, Championship, Challenge Race and Practice. Replace the path with the one where TORCS is installed if you compiled it manually and used a different installation prefix. One of the beautiful features that really impressed me is the possibility to increase or decrease how the time passes. For example, pressing Shift++ (Shift and +) will increase the time, and thus making the speed look like it has doubled or tripled. To go back to normal time, just press the - (minus) key. The feeling is amazing! 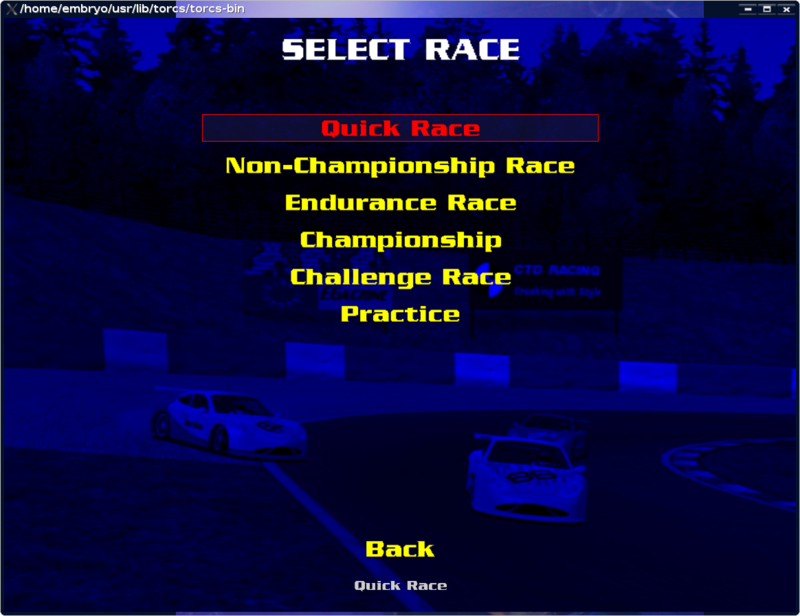 I encountered crashes (output in console was segmentation fault) several times when starting a new race, I guess this is a small problem, but it does not happen often. Hopefully this will be fixed in 1.3.2. 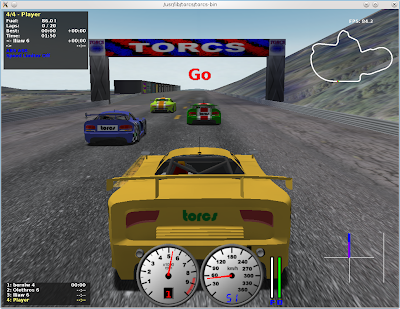 Overall, TORCS is pretty decent for a racing simulator, with one minus being the old graphics, but otherwise, it can keep you busy for hours. The Dev's are working hard on a 2.0 release expected later this year. Alphas and SVN available. Thanks for the tip, I'll have a look at it. Really? 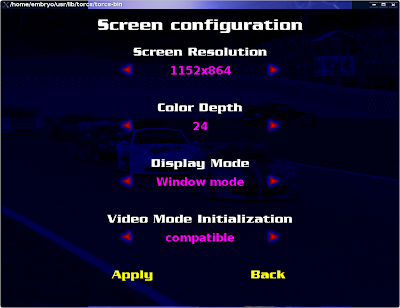 I'd really like to see a new release with improved graphics and such, maybe I'll try to compile it from SVN. Thanks! 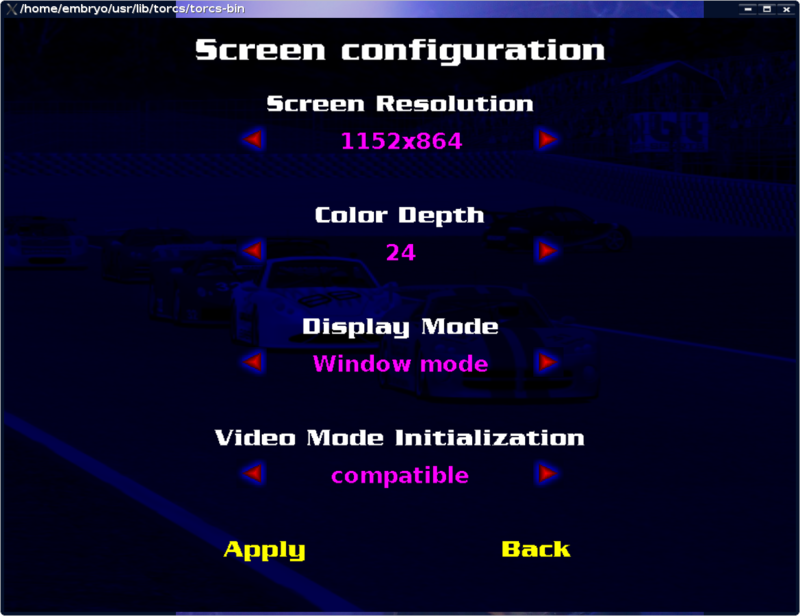 Could you please upload some screenshots of the SVN build of the 2.00 alphas? I just found TORCS the other day, I'd completely forgotten about it. It's quite old school now but the thing I like is the fact it's open source so what you can do is limited only by your imagination (and dev skills). I love designing and uploading outrageous/random car models and tracks, I get a lot more entertainment out of this game than any of the Grand Tourismo releases.